The Jigawa Government says it has concluded arrangements to vaccinate over one million animals across the state during the 2018 annual animal vaccination. Dr Abdullahi Haruna, the Director of Veterinary Services, Ministry of Agriculture and Natural Resources, said this on Thursday in an interview with Newsmen in Dutse. Haruna said that over 600,000 cattle, 300,000 goats and sheep, 200,000 chicken and 1,500 dogs were targeted during the exercise. He said that the cattle would be vaccinated against Contagious Bovine Pleuro Pneumonia (CBPP), while the sheep and goats would be vaccinated against Peste de Petites Prominante (PPR). He said that dogs would be vaccinated against Rabies and the chicken would be vaccinated against Newcastle Disease (NCD). According to him, the state government has earmarked about N12 million to purchase vaccines and other items for smooth conduct of the exercise. Haruna said that a stakeholders’ meeting would be organised to sensitise the public to the importance of the exercise. 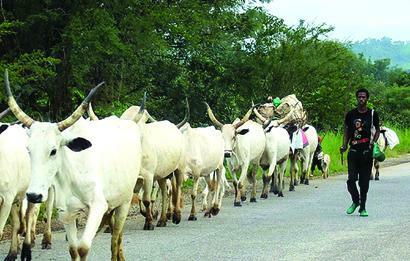 The director said that the Commissioner for Agriculture, Alhaji Kabiru Ali, would chair the meeting, while the leaders of the state chapter of Miyetti Allah Cattle Breeders Association of Nigeria (MACBAN) would attend the meeting. Other stakeholders who are expected at the meeting include the Heads of Agricultural Department, Sectional Heads of the 27 Local Government Areas of the state and the seven Zonal Veterinary Directors. Haruna said that the meeting was to ensure the participation of animal owners, particularly herdsmen, in the animal vaccination. He said that Gov. Muhammad Badaru would inaugurate the exercise on Jan. 31 in Gagarawa town, Gagarawa Local Government Area of the state. The post Jigawa govt. to vaccinate 1 million animals – Commissioner appeared first on Vanguard News.